The Great Recession is a term that represents the sharp decline in economic activity during the late 2000s, which is considered the most significant downturn since the Great Depression. The term “Great Recession” applies to both the U.S. recession, officially lasting from December 2007 to June 2009, and the ensuing global recession in 2009. The economic slump began when the U.S. housing market went from boom to bust, and large amounts of mortgage-backed securities (MSBs) and derivatives lost significant value. The term “Great Recession” is a play on the term “Great Depression.” The latter occurred during the 1930s and featured gross domestic product (GDP) decline of more than 10 percent and an unemployment rate that at one point reached 25 percent. While no explicit criteria exist to differentiate depression from a severe recession, there is near consensus among economists that the late-2000s downturn, during which U.S. GDP declined by 0.3 percent in 2008 and 2.8 percent in 2009, and unemployment briefly touched 10 percent, did not reach depression status. However, the event is unquestionably the worst economic downturn in the intervening years; the term accurately conveyed its severity by invoking such a well-known economic calamity. During the American housing boom of the mid-2000s, financial institutions began marketing mortgage-backed securities and sophisticated derivative products at unprecedented levels. 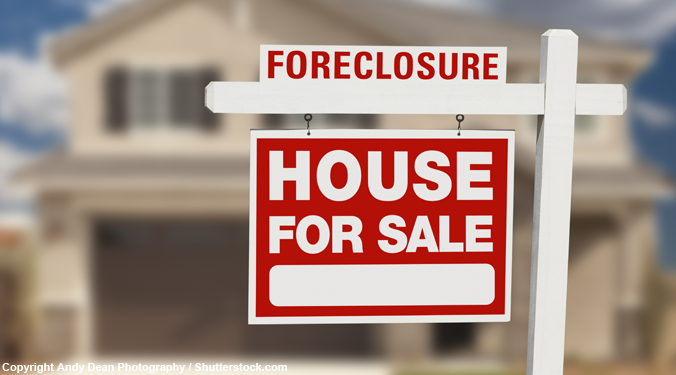 When the real estate market collapsed in 2007, these securities declined precipitously in value, jeopardizing the solvency of over-leveraged banks and financial institutions in the U.S. and Europe. Although the global economy was already feeling the grip of a credit crisis that had been unfolding since 2007, things came to a head a year later with the bankruptcy of Lehman Brothers, the country’s fourth-largest investment bank, in September 2008. The contagion quickly spread to other economies around the world, most notably in Europe. As a result of the Great Recession, the United States alone shed more than 7.5 million jobs, causing its unemployment rate to double. Further, American households lost roughly $16 trillion of net worth as a result of the stock market plunge. According to a 2011 report by the Financial Crisis Inquiry Commission, the Great Recession was avoidable. The appointees, which included six Democrats and four Republicans, cited several key contributing factors that they said led to the downturn. First, the report identified failure on the part of the government to regulate the financial industry. This included the Fed’s inability to curb toxic mortgage lending. Next, there were too many financial firms taking on too much risk. The shadow banking system, which included investment firms, grew to rival the depository banking system but was not under the same scrutiny or regulation. When the shadow banking system failed, the outcome affected the flow of credit to consumers and businesses. Other causes identified in the report included excessive borrowing by consumers and corporations, and lawmakers who were not able to fully understand the collapsing financial system. The aggressive policies of the Federal Reserve and other central banks, though not without criticism, are widely credited with preventing even greater damage to the global economy. For example, the Fed lowered a key interest rate to nearly zero to promote liquidity and, in an unprecedented move, provided banks with a staggering $7.7 trillion of emergency loans. The Dow Jones Industrial Average (DJIA), which had lost over half its value from its August 2007 peak, began to recover in March 2009 and, four years later, in March 2013, surpassed its 2007 high. The Great Recession’s official end date was June 2009. Not only did the government introduce stimulus packages into the financial system, but new financial regulation was also put into place. According to some economists, the repeal of the Glass-Steagall Act — the Depression-era regulation — in the 1990s helped cause the recession. It allowed some of the U.S.’ larger banks to merge and form bigger institutions. In 2010, President Barack Obama signed the Dodd-Frank Act to give the government some regulatory power over the financial sector. The act allowed the government some control over financial institutions that were deemed near the verge of failing and to help put in place consumer protections against predatory lending. But some of the measures of the act were under fire by President Donald Trump and some members of Congress, who said over-regulation would hurt the financial industry.